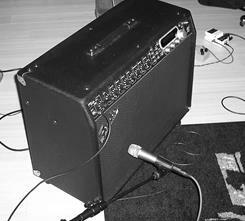 The 57A is the first choice for many guitarists for miking their amps. 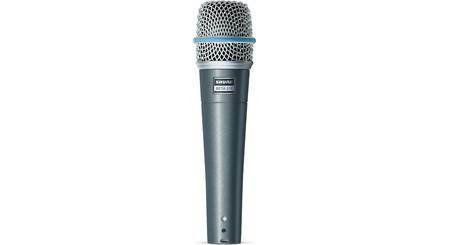 Shure built the BETA 57A microphone to handle the demands of miking instruments and vocals, whether you're on stage or in the studio. 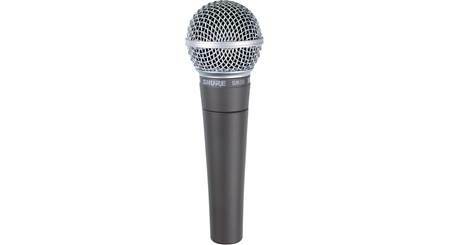 This upgraded version of the legendary Shure SM 57 delivers powerful output with warmth and presence. 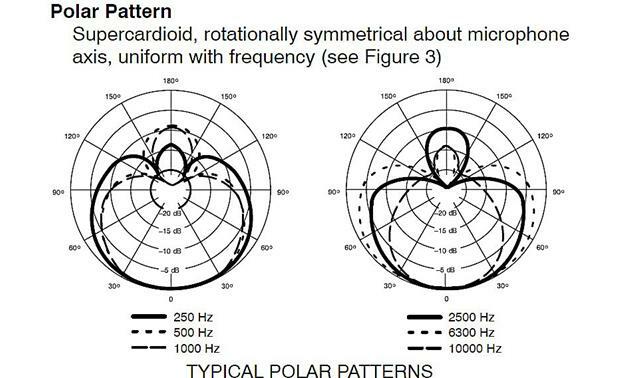 The modified supercardioid pattern rejects unwanted sound and limits feedback issues. 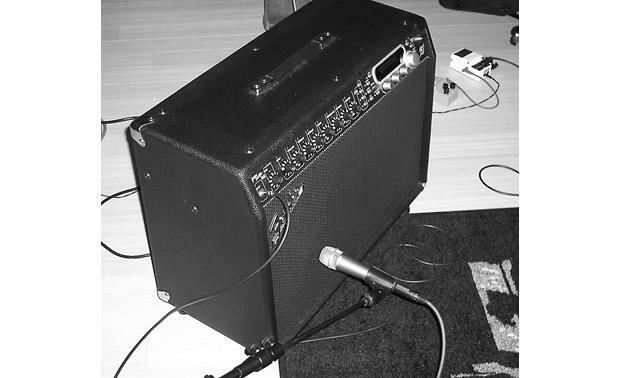 The BETA 57A is well-suited for use with drums, brass, woodwinds, vocals, guitar amplifiers, and just about anything else that makes noise! 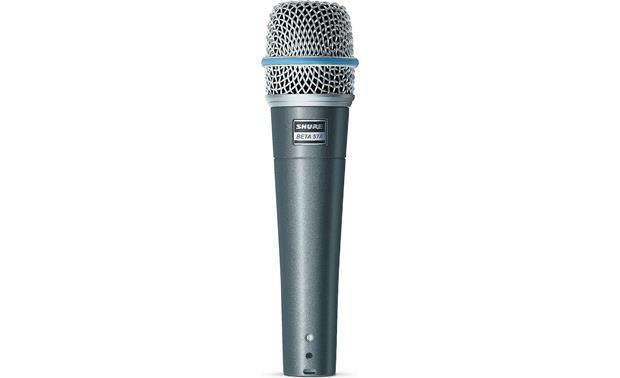 Overview: The Shure Beta 57A is a professional quality microphone that is designed for use with amplified and acoustic instruments in live sound and studio recording applications. 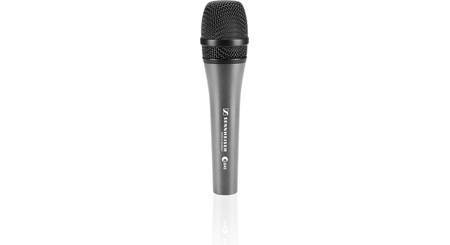 The Beta 57A comes with a microphone clip, thread adapter and a zippered storage pouch. No cables are included. Pickup Pattern: The Beta 57A has a supercardioid polar pattern for high gain before feedback and rejection of unwanted off-axis sound. The tailored microphone cartridge is designed specifically for drums, guitars, vocals, and horns, to provide studio quality sound. Construction: The microphone has a silver-blue enamel-coated die-cast metal body that resists wear and abuse. The hardened-steel mesh grill resists dents and can be replaced, if necessary. The grille's design also lets you take better advantage of the proximity effect. 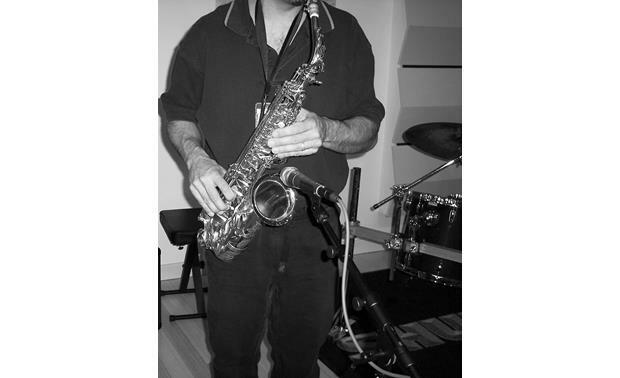 The mic's advanced pneumatic shock mount minimizes the transfer of mechanical noise and vibration. Mounting: The Beta 57A comes with an adjustable stand adapter with a 5/8" thread. The adapter lets you tilt the microphone 180° forward or backward. A 5/8"-to-3/8" thread adapter is included. 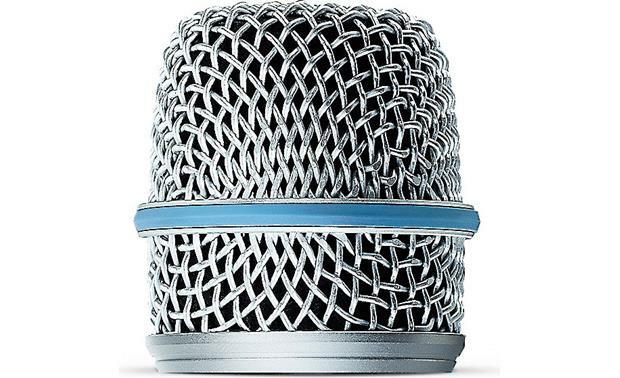 Connector: The Shure Beta 57A has a 3-pin male XLR connector. No microphone cable is included in this package. 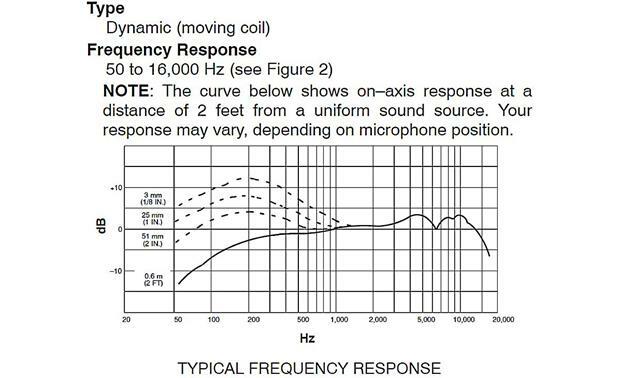 Searches related to the Shure BETA 57A Supercardioid dynamic microphone.